Stockholm won today’s away game at Karlskoga, taking the best of five series in three straight games. 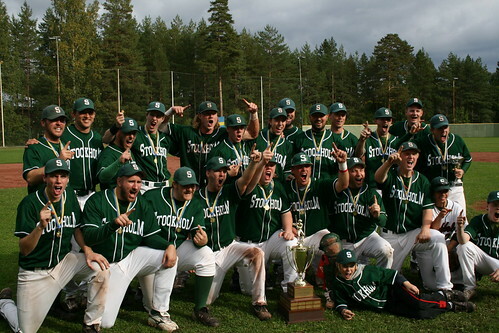 Leading 5-2 after four innings, Stockholm held off Karlskoga to win 6-5. Joakim Claesson, winning pitcher in both games 2 and 3, was named as Most Valuable Player in the finals. Last weekend Stockholm’s 16-19 year olds won the Swedish Junior Championships.